today i was able free up another 20min of my time to work on the quadruped a bit further and prototyped the moving spine. the goal is to add the lego power functions servo so that i can change the direction of the walk by moving the spine’s angle. the servo’s not on it right now, but it’s a start, still not sure whether it’ll be stable enough when in action, but we’ll see. 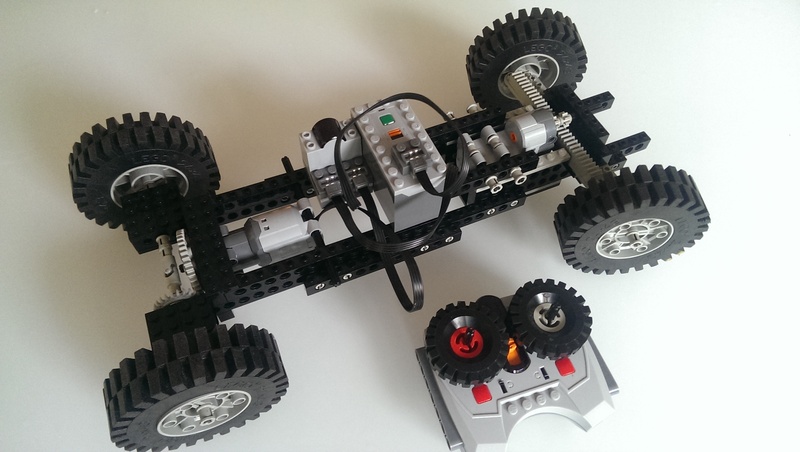 This entry was posted in robots and tagged lego, quadruped on 24. September 2014 by ramin assadollahi. i just had to buy the power functions for lego. my sons were not happy that i had to slaughter one RC car to implant a little arduino brain, so i decided to buy the IR remote control two motors and a servo. the first little thing i had to build was kind of a standard remote controlled car to get the boys started with it. the boys really like it and although there’s no head and tail they clearly perceive it as an animal. it actually walks really nicely although the legs on each side walk in sync. there’s probably room for improvement. however, i actually want to build the servo into the spine first so that the bot can walk in circles. 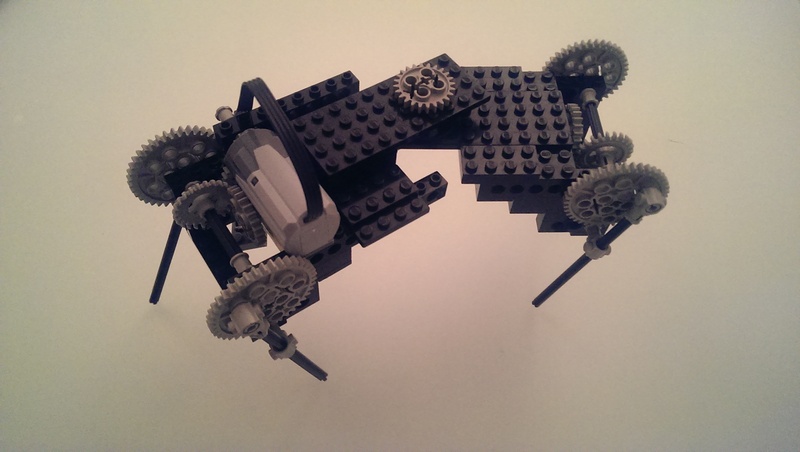 This entry was posted in robots and tagged lego, quadruped on 21. September 2014 by Admin.